Once a flourishing community in the first millennium AD, the Tamil Jains are a largely forgotten entity in the 21st century. Mahima A. Jain outlines the everyday battles faced by this minority group and explains why they continue to lack economic and political agency despite being granted minority status in 2014. On January 30, 2014, a century worth of efforts of the Jain community to be recognised as a religious minority came to fruition when they were finally granted minority status by the Government of India. Jainism, like Buddhism, emerged around the 5-6 century BC in present day Bihar. Vardhaman Mahavir, the last and the 24th Jain Tirthankar (one who has attained nirvana), was born in Vaishali, Bihar, around 2,614 years ago. It spread across most of North India, and in 3rd century BC made its way to the South. The movement to the South also marked the division of the religion into the Digambara (sky-clad) and Shvetambara (white-clad) sects. The religion was widely followed and remained popular in its early history, but today Jains constitute around 0.4% of the Indian population and are scattered across various regions. The religion might seem to have one common narrative: of rise in the first millennium AD and a decline in the second. But because it spread to different parts of the country, the socio-cultural and political history of each region has played a key role in shaping the future of the Jain community in that region. Thus the Jain community in each region is a distinct minority with a unique history. Today, the Jain community is spread across Bihar, West Bengal, Orissa, Jharkhand, Madhya Pradesh, Gujarat, Rajasthan, Maharashtra, Punjab, Karnataka, Andhra Pradesh and Tamil Nadu. Most of these States have a Jain population that is indigenous and rooted in the identity of the respective State. If there are Jains settled in other parts of India, say for instance in the Kerala or Sikkim, they hail from one of the other States mentioned above. There are around 89,265 Jains constituting about 0.12% of the population of Tamil Nadu according to the 2011 Census but they are of two different groups: first, there are Tamilians who are Jains, or “Tamil Jains” or “Samanars”; their ancestors have lived in the region for over 2,000 years, and they share the Tamil language, culture and heritage with others in the region. According to estimates, they number between 25,000-35,000, mostly settled in the four districts of Kanchipuram, Thiruvannamalai, Thiruvallur and Villupuram and Chennai. Second, there are the North Indian Jains (mainly Gujarati and Marwaris) who have settled here over the course of the last hundred years. 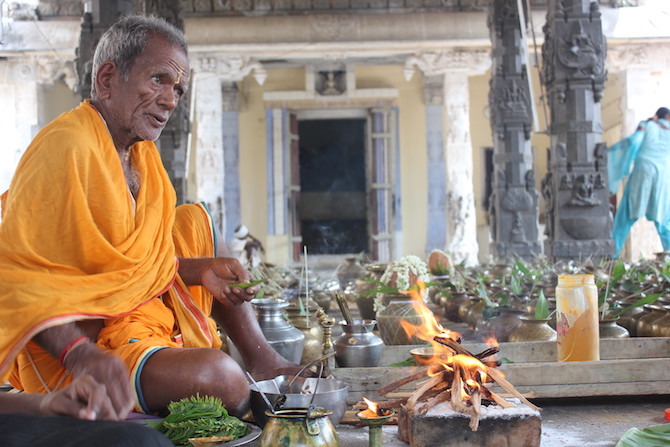 The presence of the Tamil Jains, who follow the Digambara sect, in the Tamil region dates back to 3rd Century BC. They have been an integral part of the Tamil history, and at some points in the first millennium AD, at the height of their power, even enjoyed a fervent royal patronage. 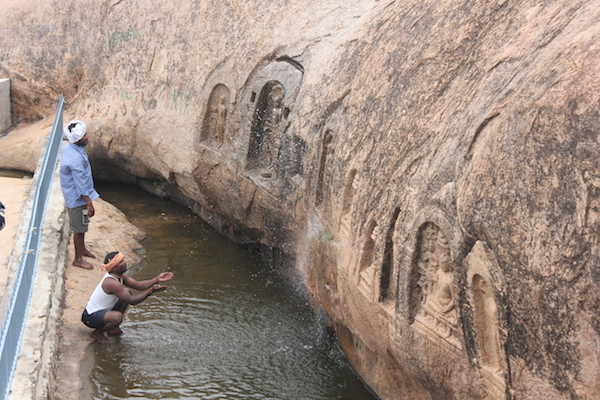 Tamil epics such as Silapaddikaram by Illango Adigal, and Civakacintamani by Tirutakkadevar and Valayapathi, and numerous rock-cut monuments are only some symbols of a by-gone glorious era. Today, Most Tamil Jains are engaged in agriculture and continue to reside in rural areas. 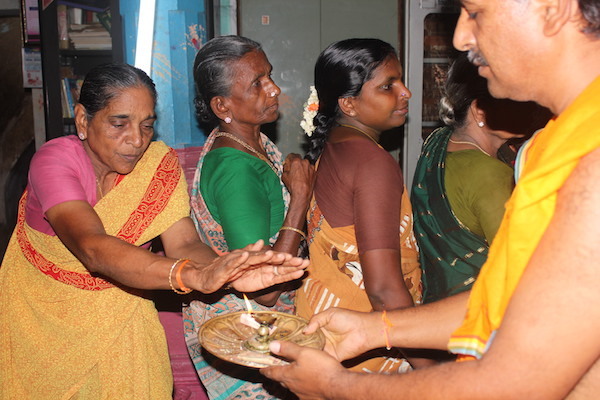 According to the Jina Kanchi Jain Matha, the religious overseer of the Tamil Jains, located in a small village called Mel Sithamoor, the community is spread across not more than 120 villages across North Tamil Nadu. The Tamil Jains’ everyday battles are many: from protecting their places of worship, to access to finance and education, to fighting for recognition in day-to-day life. When the minority status was granted, the Tamil Jains felt that they were finally being heard. Since the decision was announced, there has been excited activity among the Tamil Jains to spread the word on financial aid, protection of religious sites and educational grants. The Tamil Jains view themselves as an educated, endogamous, farming community that is now, with great difficulty, climbing the social ladder. Many Tamil Jains, especially young men, have moved to the cities to pursue careers as teachers or in the IT sector, and some have set up businesses. As per a community census, there are 1,000-1,500 families in Chennai. They too are spread across the city, and blend so well in the milieu that you are likely to miss them. Furthermore, since Independence there have been hardly any Tamil Jains who have occupied any key bureaucratic or legislative posts. Given their small numbers, and the fact that they are dispersed over a large geography and live in deep pockets, they lack agency in the public sphere. To address this lack of cohesive voice, the community has organised many public gatherings in the past few years, where learned members of the Tamil Jain community conduct seminars for people of all ages. These can be lectures on the religious tenets, or tours of Jain monuments in a particular district, or even renditions and performances of Silapaddikaram. The community also has intra-community magazines, newsletters and Facebook groups where they engage with each other on issues pertinent to the community. Another means through which a shared identity is fostered is gurukuls or boarding schools for Tamil Jain children. These schools not only impart primary and secondary education, they also teach the philosophy, principles and practices of Jainism. In recent years the community has also actively worked towards preserving and protecting its monuments. According to the findings of a recently concluded survey by the French Institute of Pondicherry, there are nearly 450 Jain sites across Tamil Nadu, with a majority in Madurai, Thiruvannamalai, Villupuram and Kanchipuram districts. While many are protected sites, there are several which are either abandoned or under the care of local communities. These sites are often targets of vandalism and granite quarrying, and there are few that are “converted” into Hindu places of worship. The community has also been asking the Government to handover the 17 Jain temples which are currently under the Hindu Religious and Charitable Endowments department. Battling cultural and religious hegemony, to maintain their unique identity and history, has perhaps been the one of the biggest challenges. So far, I have briefly explained how the community is trying to resurrect itself in the 21st century in the face of economic hardships, cultural and religious hegemony, and population woes. With all these efforts, the picture one gets is of a jig-saw puzzle being pieced together. A major piece of this puzzle, which is beyond their control, is how others perceive the cultural identity and history of the Tamil Jains. But how the Tamil Jains can make themselves visible in an ever burgeoning cultural landscape is a question that they can answer only in parts. Questions such as why is it that the Tamil Jain community has been left behind when other Jain communities (like the ones in Karnataka, Gujarat and Rajasthan), though minorities, have fared well, require a deeper analysis. To take the example of the North Indian Jain community in Tamil Nadu, most individuals hail from Rajasthan and Gujarat, and came to Tamil Nadu in search of economic prosperity and engaged in trade and commerce. The community has grown in almost all cities in the State, especially in Chennai, and has also succeeded financially. While it might be an exaggeration to say the entire North Indian Jain community here is rich and prosperous, it cannot be denied that they are doing much better economically than the Tamil Jains. This is a fact that is obvious and well-recognised. The stereotype of a rich Marwari or Gujarati is only too ubiquitous, not only in Tamil Nadu but across India. Many North Indian Jains have been in the region for more than two generations, but their cultural identity — that of a Marwari or a Gujarati — is intact. Their numbers too are small, but they are easily recognisable as Jains. For a majority of people in Tamil Nadu, Jains are outsiders and hail from Rajasthan or Gujarat. The disparity between the North Indian Jain community and the Tamil Jains is vast. While the former bears the impression that they have succeeded and are well off, the latter continues to struggle economically and socially. The two communities are bound by faith and separated by culture. The bonds seem rather tenuous. Both view each other as ‘others’ while speaking of culture and regional histories, and ‘brethren’ while talking of religion. There is no animosity between the two, but there no great friendship either. It is not uncommon for a Tamil Jain to blame their obscurity on the North Indian Jain community. They believe they were sidelined and forgotten because of the overt success of the North Indian Jain community. An extension of this belief is that their community has been forgotten by their history and their own people, i.e., other Tamilians. This is not untrue and there are many incidents when Tamil Jains are asked if they were “converted” to Jainism in recent years. Many scholars have tried to explore how the Tamil Jains, who as mentioned earlier, are an integral part of Tamil history and culture, were pushed to the margins and nearly forgotten. This “othering” process has been so ingrained that the Tamil Jains live in obscurity and are hardly acknowledged as a living community. What also adds to this amnesia concerning the Tamil Jains is the mistaken understanding that “culture” and “religion” are the same. As it is apparent in the case of the Tamil Jains, a cultural identity cannot be confused with a blanket, stereotypical religious identity. Such confusion can lead to marginalisation of minorities who are subsumed under a larger minority. Mahima Jain is a Nehru Trust for the India Collection at the V&A UK Visiting Fellow (Jain Art) and Senior Sub Editor at The Hindu BusinessLine. Write to her at mhmajain@gmail.com or tweet @mahima_a. Hi, the Nayanars were a group of 63 saint-poets and devotees of Shiva. This was some great information given by you to help our fellow tamil jains who are not recognised. Tbh i live in Chandigarh and i have never been or remotely closed to this region of our country but i have heard about these sorts of problems by other people. Well i never got such detailed explanation and information about their current status. I appreciate that all ! In some 770s BC lord parasnath was born and many many thousands of years ago the first tirthankar lord Adinath or lord Rishabhdeva was born so our religion is older than you think please correct it if you can……that’s a really infornational post you did! A interested article. It proves again that jainism is a basic religion in tamilnadu. Hi Mahima. Very good article. It will be useful for other community to understand abt Tamil Jain. Thanku. One large question always disturbs my sleep is How this tiny population has survived oppression from majority religion for last 2000 years? ?As per 2011 census, Tamil Jain population is around max 35000. According to first census in 1881, India’s population is around 25cr and now it is around 125cr (5 times). By assuming same factor, Tamil Jain population might be around 7000 in 1881. After British gained some power around 1700, oppression from majority religion and conversion might have stopped. May be population would be around 5000. How this tiny population has survived without any Royal patronage?? All the best for your research. Hi Mahima, Thanks for sharing this. Quite informative. There are many Jains (Originally from north) working in south india specially in Bangalore and chennai who want to help Tamil Jains. Let us know, if you know the way we can help them. Nice article ,well done Mahimaji. Really need to know north’s Jains that Tamil Jain still follow Jainism.